FEYWA for JIRA covers necessary business processes inside your organization within resource and project management area. Manage your projects from initial phase to closing reports, assign your resources to roles and teams, make reservation and allocation of resources on tasks, prioritize and follow business strategy with project portfolio, support team leaders with detail tasks planning and satisfy the CxO with appropriate reporting. 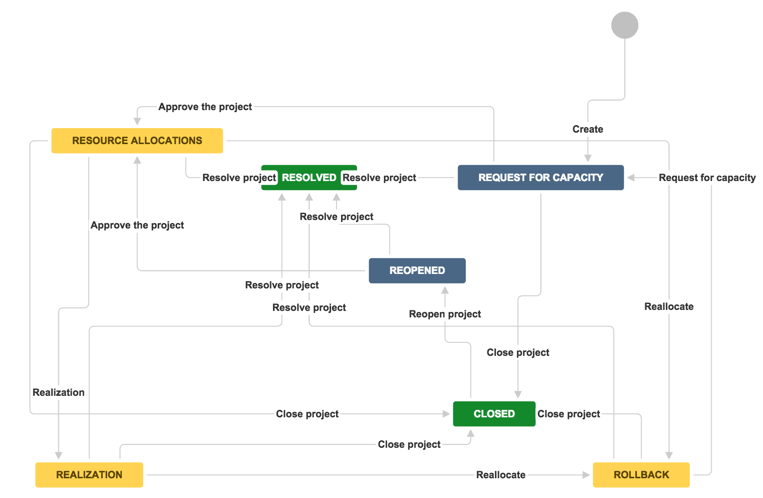 Default process (workflow) currently implemented within FEYWA for JIRA is presented on schema below. But FEYWA for JIRA is framework and customizable plugin so you are not forced to change your processes. We are ready to help you with initial configuration and if required with customization. Raise and evaluate new business ideas or product features. 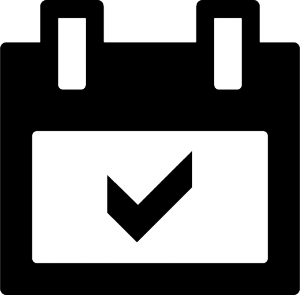 Set-up the project schedule and role requirements, specify pre-defined tasks or Work Breakdown Structure. FEYWA for JIRA helps you with project prioritization. Create various plans for various scenarios and always execute the right project on right time. Start the whole project in a few clicks. Create implementation project and tasks predefined in WBS and allocate resources into project roles. 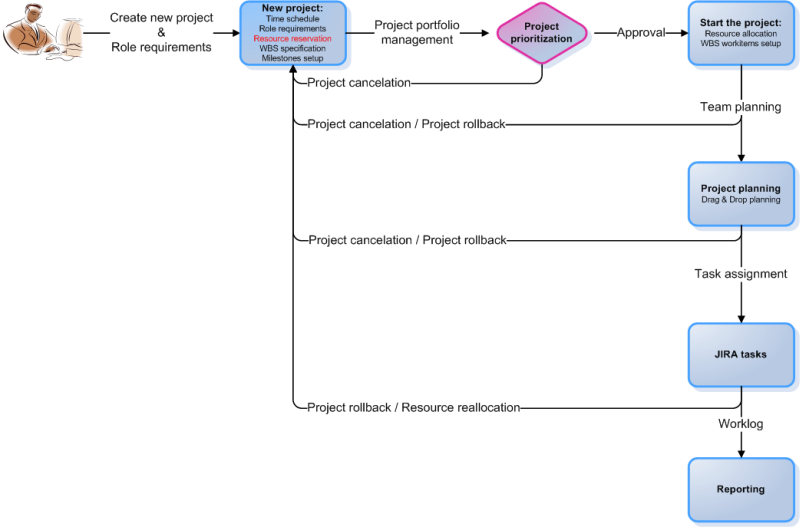 Use an intuitive drag and drop interface to plan your project. FEYWA for JIRA automatically check input to avoid any mistakes during planning phase. FEYWA for JIRA works with basic JIRA issues and resources can start working without any need to learn to work in a new environment. Create powerful reports based on origin project requirements, users’ worklogs. FEYWA for JIRA allows you to create your own customized reports to gain all important information you need. If you are currently using JIRA within organization the initial FEYWA for JIRA adjustment will bring you benefits of following your existing JIRA setup. You are not forced to rebuild your workflows, customfields, issuetypes, etc. Our enhanced permission schema enables you to meet your security requirements and rules. Enhancing existing JIRA user management, our new plugin FEYWA for JIRA is taking your resource management to a whole new level. Manage your employees, assign them into roles, create teams and fulfill these by using simple interface. Hold information about resources’ costs, rates or even their utilization based on JIRA worklogs and personal calendar. FEYWA for JIRA offers you wide range of functionalities to manage your teams and roles within your organization. Assign user to more generic or specific roles, edit the range of working days, add skillets to user, etc. Create teams and edit their members by using simple interface. Get the all information about your resources in a few clicks. Manage projects inside your JIRA just using one plugin. FEYWA for JIRA is more than allocation tool and gives you the possibility to plan, manage, execute, report and use figures as lessons learned for future projects. FEYWA for JIRA is designed for companies dealing with volume of projects. Follow your business strategy and prioritize portfolio keeping your resources in mind. Based on advanced user management and project requirements FEYWA for JIRA is able to calculate the right time period to run the project or business need. Enhancing existing JIRA reporting, FEYWA for JIRA extends project reporting with resource utilization, project progress and financial balance. We are ready to create new reports to meet your needs.